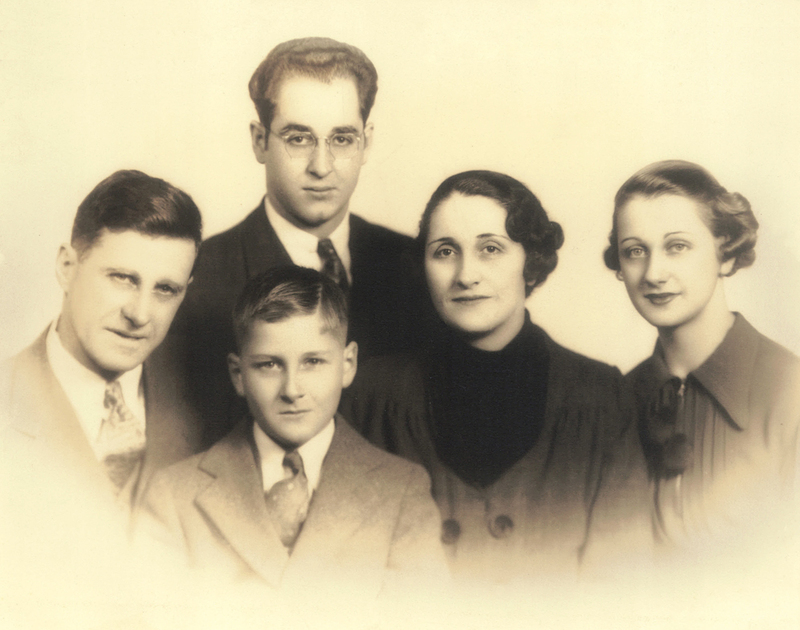 A great photo of the Lauritsen family sometime in the early 1930s. A young and mischievous looking Bob sits smirking in the front row. Behind him, left to right, are his father, Milton, his brother, Milton, his mother, Edith and his sister, Marion, who is my grandmother. Marion and Milton were twins, although you would never guess that. This is Bob's boot camp platoon photo from 1943. It's too bad they took the photo in direct sunlight as it's rather hard to see much detail in these guys' faces. Bob is standing in the back row, fifth in from the right... the one with a nasty scowl on his face. Here is an early portrait of Bob in the Marine Corps wearing a Khaki Shirt and Tie with the Winter Service Cap. Geez, he sure looks like a kid here! Here is a photo of Bob, on the right, and his best friend Cpl. Clifford Ryan of California. Bob and Cliff were best of pals during their time in the Corps. This photo has a hand-written inscription, possibly done by my Grandma Krelle. It read: P.F.C. Bob Lauritsen - Camp Pendleton - Oceanside, Calif. - Feb. 13-44. This photo was taken almost one year to the week before Bob would land on Iwo Jima. This photo is of Bob back home in Omaha after the war. He's looking pretty sharp with that tall service hat cocked to the side. And finally a photo of Bob and his beloved wife Anita. As he described her to his family, she was the prettiest girl he had ever seen. This is a photo of Bob with his mother, Edith Lauritsen, and his wife Anita sometime after the war. Judging by the palm fronds behind them, it appears that this photo was taken somewhere in California and not Nebraska. This is another photo of Bob back home in Omaha after the war.